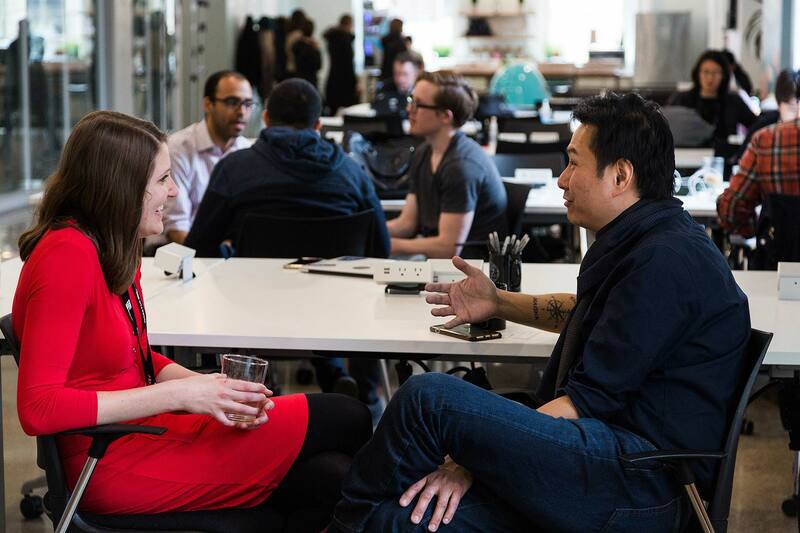 Coworking: What’s Right For Your Brand? Lessons from a design approach guided by brand and culture. Above: ATLAS Workbase — Seattle. No longer considered a fad for startups and freelancers, coworking has surpassed its humble beginnings to become one of the fastest-growing global workplace movements. An array of mature companies and industries — including academia, nonprofits, and media — are tapping into this phenomenon to reap the benefits long heralded by tech startups: shorter leases, just-in-time space, reduced overhead costs, shared infrastructure, and access to a network of diverse, creative thinkers. The changing nature of how people work is driving the demand for coworking space. According to Innosight, the average lifespan of companies in the S&P 500 is expected to drop to just 14 years by 2026. This is a sign of corporate disruption — companies are restructuring, shrinking, and merging. With this volatile life cycle, nearly every resource a business uses must become more flexible — including real estate. JLL predicts one-third of all US office space will be flexible by 2020. 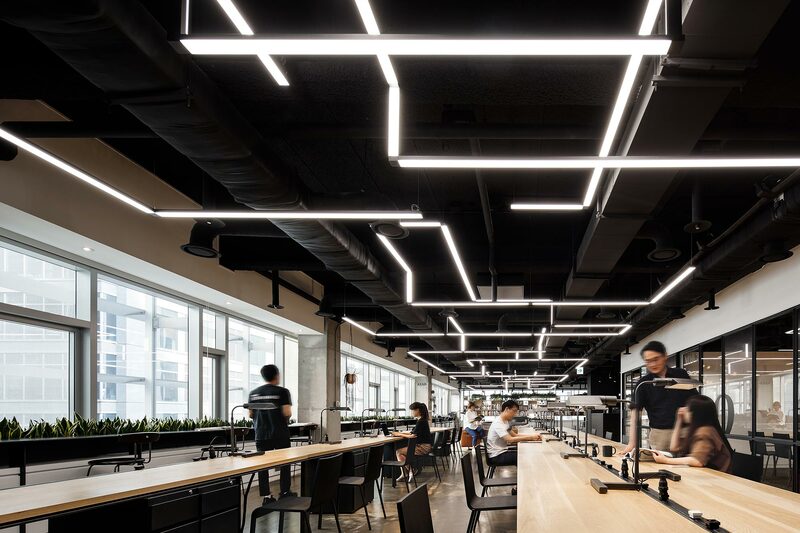 Located in Shanghai's Knowledge Innovation Community, KIC Inno Space features amenities modeled from global tech companies and a modern design aesthetic. Coworking’s rise is also fueled by a more mobile workforce with shifting lifestyles. By 2020, according to Forbes, 50 percent of office workers will be freelance, remote, or project-based. Organizations are looking to agile spaces to attract and retain talent, drive business results, and push new ideas forward. As coworking expands in the US and Europe, it’s also expected to proliferate in Asia, Africa, and Latin America. The Global Coworking Unconference Conference, a convener of industry events, projects that global coworking spaces will grow from 14,411 in 2017 to over 30,000 in 2022, and the number of worldwide coworking members will nearly triple to over 5 million. 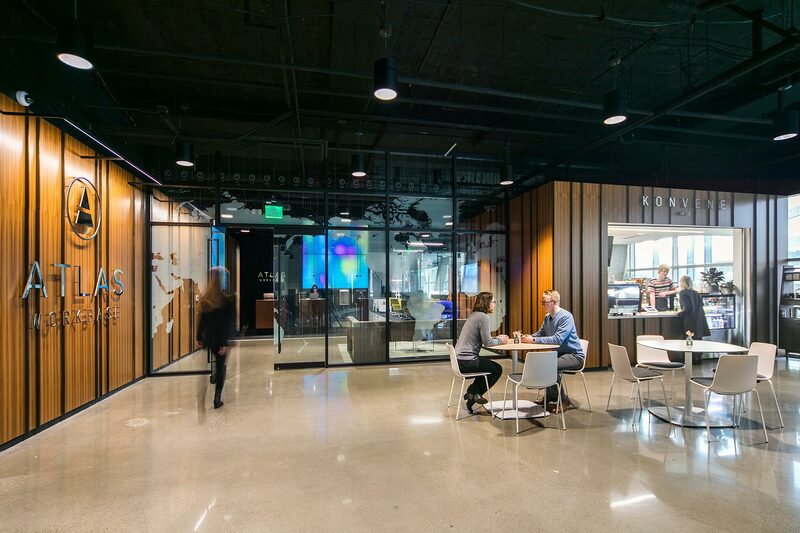 According to Gensler’s Experience IndexSM, places that support community and social connection perform better and yield higher job satisfaction in the workplace. With numbers like these, there’s a global scramble by investors and companies looking to enter the market. As they do, there are some critical considerations. First, it’s crucial to differentiate; there’s no one-size-fits-all approach, and just offering generic space is not the answer. Second, design should be a differentiator. Successful coworking spaces should be branded, hyper personalized, and experience-driven — making people feel connected to their organization’s brand and culture. Large, established companies are offering coworking to all generations of their workforce, recognizing the importance of workplace choice and design as a tool to motivate and encourage employees to think differently. According to a CBRE Americas Occupier Survey, 65 percent of companies plan to incorporate coworking into their portfolio offering by 2020. 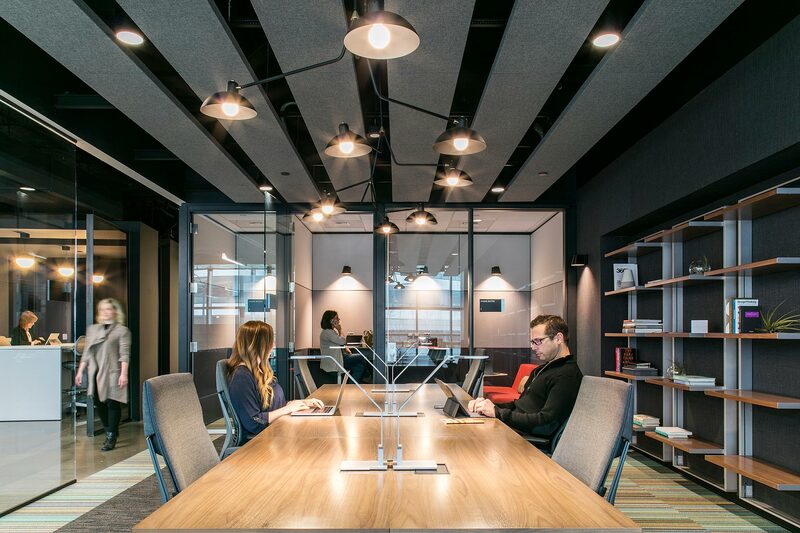 Fortune 500 companies such as Facebook, IBM, and Microsoft are adopting coworking settings within their own walls or moving teams off-site to coworking spaces managed by others. They’re also looking at flexible spaces to pilot change, inspire knowledge sharing, or reposition assets. Verizon, for one, is redeveloping pockets of unused real estate into coworking communities, repurposing the company’s legacy assets as flexible space for entrepreneurs and startups. Verizon has opened additional locations in Boston, New York, London, Singapore, and Washington, DC. In New York, Alley, powered by Verizon, is 5G capable, giving entrepreneurs, universities, and startups the ability to start developing tomorrow’s 5G-powered innovations today. At the same time, Verizon is supporting the development of products and services that can fill its own innovation pipeline. Meanwhile, developers and building owners are strategically filling their buildings with coworking leases. Some developers are creating their own market-facing coworking spaces to maintain better control of the product and make it adaptable for longer-term leases when markets shift. Tishman Speyer, for example, is debuting a flexible office solution that includes a coworking program and suite of services and amenities, and evolves as tenants’ needs change. Before diving in, companies should take stock of the challenges of adopting coworking at scale: if these spaces don’t reflect their culture or brand, they risk diluting connections with their people. As they develop and market coworking spaces, building owners and developers should look beyond conventional tenants to appeal directly to coworking members, a more diverse slice of the workforce. Successful coworking spaces have a unique identity that sets them apart and makes people feel engaged. These spaces are infused with personality that prioritizes not just pragmatic needs, but also great experiences — something that some bigger coworking companies advertise, but don’t always deliver because of their size and sameness. 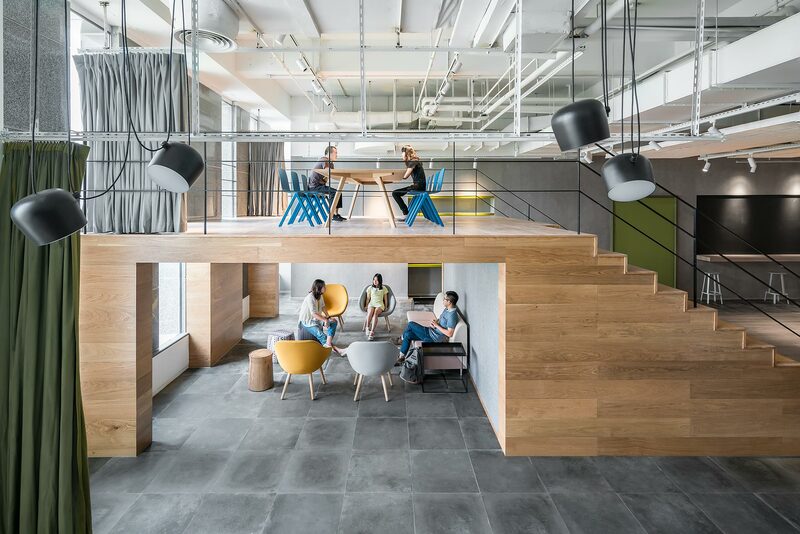 According to Gensler’s Experience Index, a research effort to identify and quantify the factors of design that impact the human experience, places that support community and social connection perform better and yield higher job satisfaction in the workplace. As people increasingly seek human connection, the most successful coworking spaces are designed to offer more than space — they’re providing a lifestyle. In Korea, Hyundai Card Co., Ltd., created Studio Black, an amenity-driven workshop and incubator for creative entrepreneurship that differs from typical Korean corporate environments. 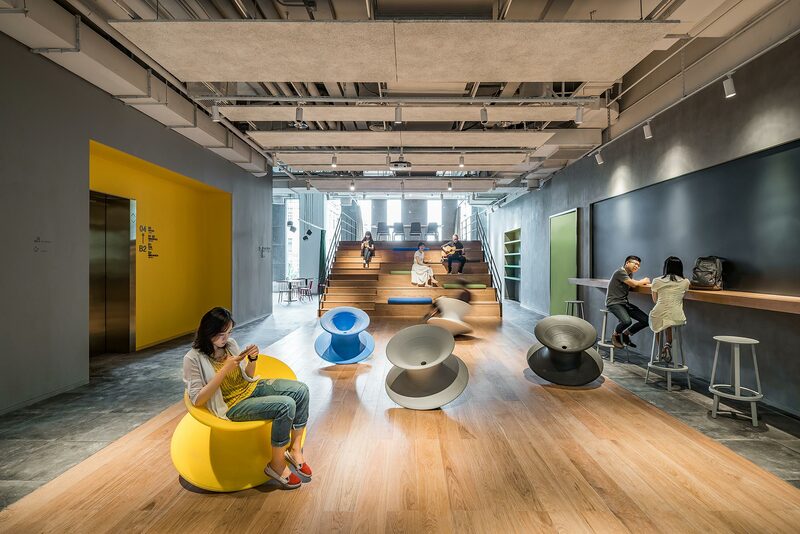 “They want their members to understand the importance of socializing and decompressing because in Korean society the workplace has always been high stress and difficult,” explains Gensler’s Sabu Song. Because startup culture can involve round-the-clock work, the workers can take showers, sleep, take breaks, or practice yoga while on the job. The brand’s entrepreneurial spirit is reflected in graphic nods to methods of invention throughout the space. Successful coworking spaces have a unique identity that sets them apart and makes people feel engaged. 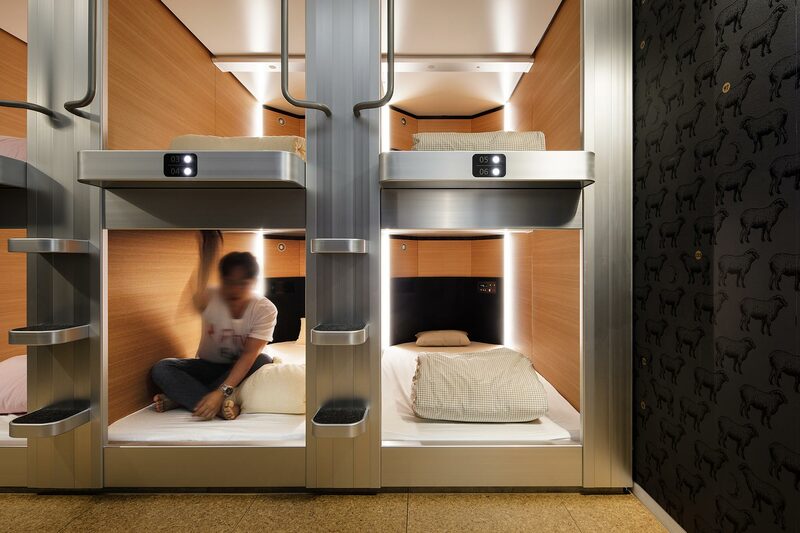 These spaces are infused with personality that prioritizes not just pragmatic needs, but also great experiences. 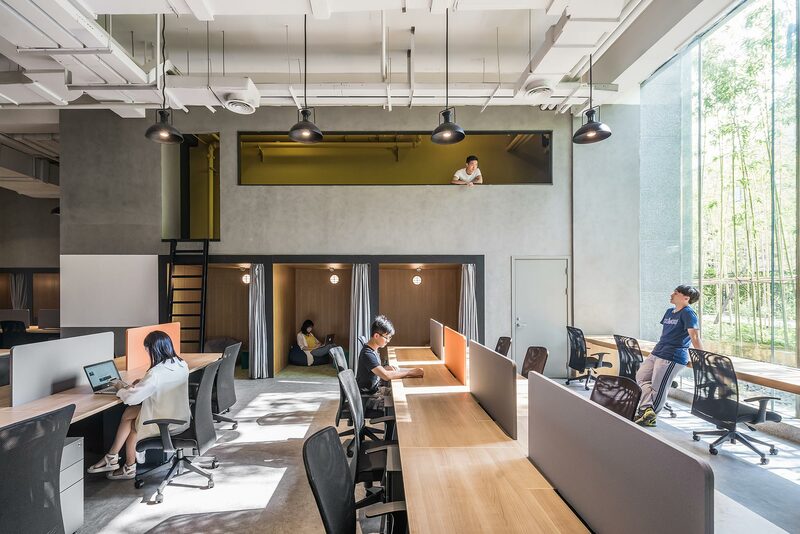 Similarly, Chinese developer Shui On Land created a coworking space called KIC Inno Space in Shanghai’s Knowledge Innovation Community, with amenities modeled from global tech companies and a modern design aesthetic. The lobby doubles as a check-in for members and hotel guests, and the ground floor comes to life with a café, gallery, lounge, and multifunction zone for impromptu meetings. Focus work is relegated to the hub’s upper floors, while a theater zone allows members to collaborate, listen to music performances, or attend lectures. Workers can choose where and when to work—a key driver of innovation, as reported in Gensler’s 2016 U.S. Workplace Survey. This mix of flexible, diverse settings can help developers attract local entrepreneurs and creatives. Some coworking spaces are aimed at very specific niches, targeting people with similar demographics or psychographics. Some are designed exclusively for women, some for low-income and minority entrepreneurs, and some created for social enterprises that might otherwise not have access to critical resources. 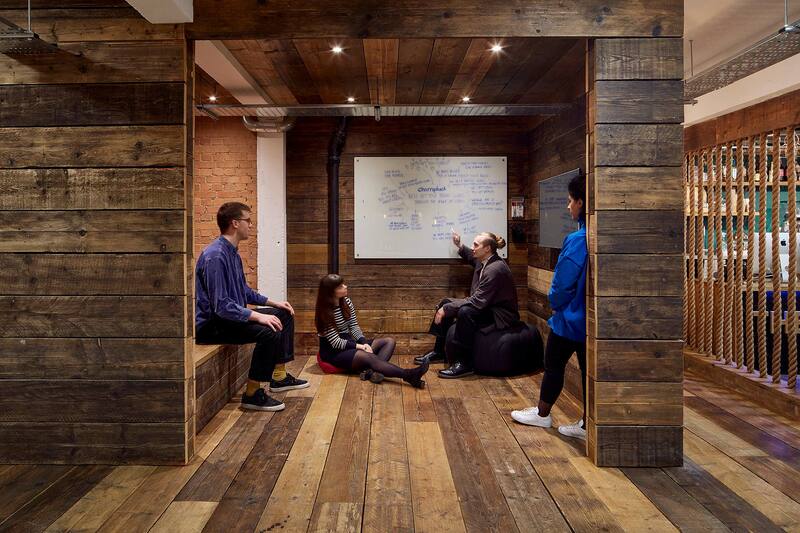 This coworking hub offers affordable creative production services to London's creative talent. In London, Gensler collaborated with the Stephen Lawrence Charitable Trust to create Your Space, a coworking environment that strives to advance the nonprofit’s mission by providing emerging architects, designers, and creatives with affordable spaces to network and develop their ideas. 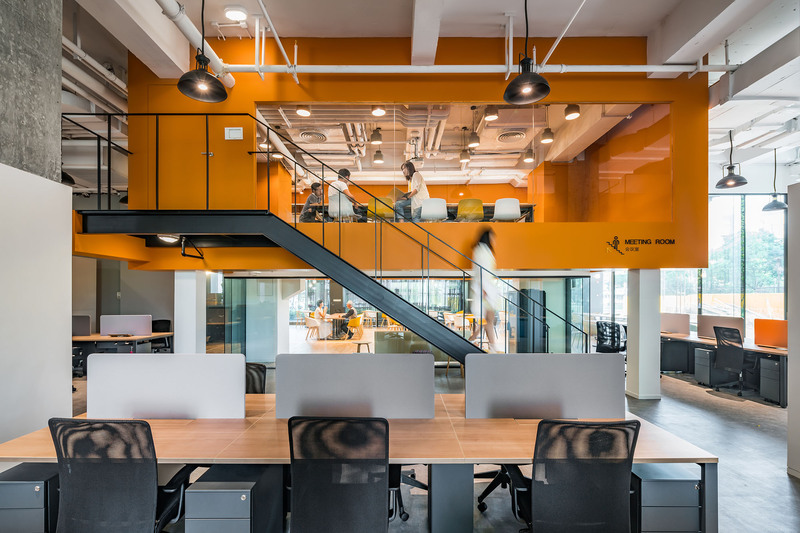 Infused with color, daylight, and branded workspaces, the hub aims to inspire youth to pursue careers in the built environment. In a similar specialty coworking space, Gensler partnered with Cherryduck Studios to create The Nest, a coworking hub in London that brings the city’s creative talent and small post-production studios under one roof. The Nest features bespoke materials celebrating the area’s dockyard history and consists of tailored spaces, including meeting rooms, an audio studio, and 12 editing suites — rentable hourly or monthly. While most coworking spaces are designed with millennial tech workers in mind, ATLAS Workbase appeals to executives by replicating the look and feel of high-end airport lounges. 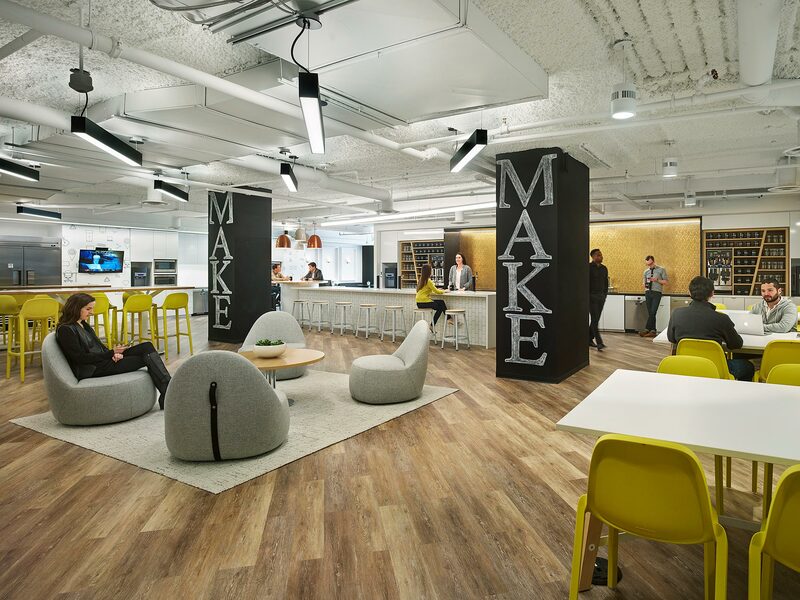 Community building is an integral part of the business model for coworking operator MakeOffices, which enlisted Gensler to help elevate its budget savvy design to sell its spaces. Each location has a shared social hub with its own aesthetic that allows MakeOffices to host community events within its spaces. “The hub space became the attractor, with a personality that connects to the neighborhood,” says Gensler’s John McKinney. For example, DC’s Glover Park location hired a local muralist to capture Georgetown’s cityscape and reflect on the adjacent US Master Clock and Naval Observatory. Universities are also developing accelerators on campus to give students a space to develop ideas, while creating a link to the surrounding city. 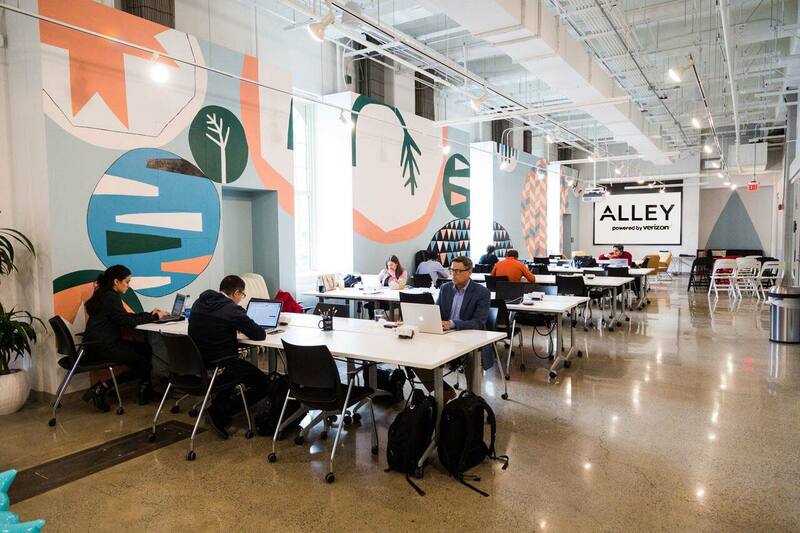 Johns Hopkins Technology Ventures created a network of innovation hubs that aims to create an innovation ecosystem connected to the city of Baltimore. FastForward U is Johns Hopkins University’s hub for entrepreneurship and innovation for all students. Fluid areas and modular furniture give students choice, while a maker space allows them to prototype ideas. “We created a student-centric space that provides an experimental, dynamic experience,” says Gensler’s Migena Dilolli. To respond to market demand, landlords and real estate companies are adopting coworking principles. They are redefining traditional leasing practices and incorporating space to attract enterprise clients who need agile space. But coworking is more likely to influence the conventional workplace than supplant it. As the nature of work evolves, one constant remains. Branded environments will always drive culture and innovation — and thus positively impact a company’s bottom line. Kendra Mayfield is a writer/editor at Gensler, based in San Francisco. By optimizing human potential, the most sought-after workplaces will attract talent, stimulate innovation, and yield the most successful business outcomes.